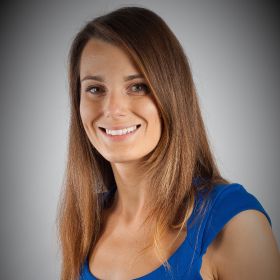 Monika Masariková is a co-founder of the portal Cybersec.sk and the Slovak Security Policy Institute (SSPI), which operates the portal. In SSPI she currently holds the position of the Director of the SSPI and Director of programme Internal Security. Previously she worked at the Ministry of Interior of the Slovak Republic for two years where she was responsible for development projects in the field of internal security. Between 2008 and 2013 she worked in Centre for European and North Atlantic Affairs (CENAA). In 2011-2014 she also worked as advisor to the Chairman of the Security and Defence Committee and Special Control Committee for the Control of Activities of the Military in the National Council of the Slovak Republic. She is a Master Degree Student in European Studies and International Relations at the Comenius University in Bratislava and at the University of Coimbra in Portugal. Monika received her PhD degree at the Armed Forces Academy of Gen. Milan Rastislav Štefánik in Liptovský Mikuláš in July 2018. 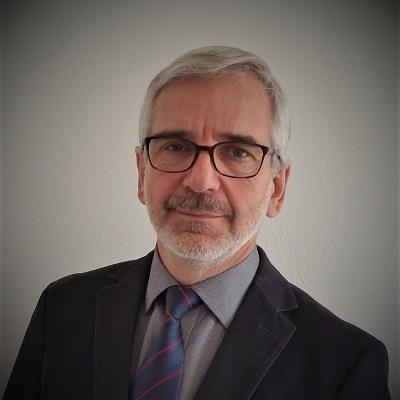 Juraj Krúpa worked at the Ministry of Defence of the Slovak Republic where he gained experience with defence policy, crisis management as well as with bilateral and multilateral relations. In years 2013-2016 he worked at the Permanent Delegation of the Slovak Republic to NATO. He holds Doctor of philosophy degree in International Relations, which he obtained at Matej Bel University in Banská Bystrica. He graduated in program on Advance Terrorism Studies at George C. Marshall Center for Security Studies in Garmisch-Partenkirchen in Germany as well as in Program on Security at the Asian-Pacific area at the PLA National Defence University in Beijing. He speaks fluently English, German and French. 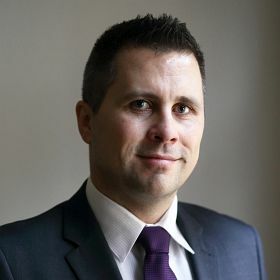 Jaroslav Naď was the Director of Slovak Security Policy Institute (SSPI) until November 2018. 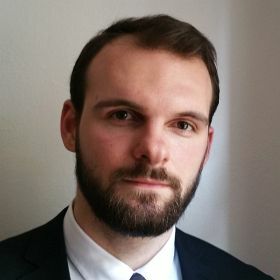 Previously (2014-2015) he worked at the Central European Policy Institute (CEPI) as a program analyst of security and defence policy and at the same time as Deputy Director of Globsec, of which was CEPI a member. 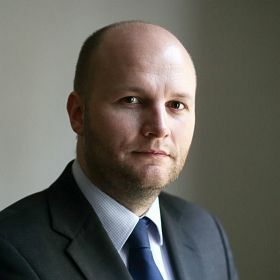 From 2003 to 2013 he held various positions within Ministry of Defence of the Slovak Republic, including the Defence Policy Director position with overseeing the creation of strategic documents and plans, legislative activities of MoD and international crisis management operations. Later he also held a position of a Head of defence department of Permanent Delegation of the Slovak Republic to NATO. Prior to the joining of MoD, Jaroslav was active in NGOs Slovak Foreign Policy Association and Euro-Atlantic Center. He graduated from the Faculty of Political Science and International Relations at the University of Matej Bel in Banská Bystrica as well as from specialized courses at the George C. Marshall in Garmisch-Partenkirchen in Germany and the European Security and Defence College in Brussels. Jaroslav received his PhD. degree at the Armed Forces Academy of Gen. Milan Rastislav Štefánik in Liptovský Mikuláš in July 2018. Marian Majer is a co-founder of the portal Cybersec.sk and the Slovak Security Policy Institute (SSPI), which operates the portal. Marian currently acts as Director of the Office of the Secretary of State and as the Advisor to the Secretary of State at the Ministry of Defence of the Slovak Republic. He led SSPI in years 2015-2016. Previously Marian worked at the Central European Policy Institute (CEPI), where he was a Director of the programme for security and defence policy for two years. Between 2012 and 2014 he was a researcher of the Centre for European and North Atlantic Affairs. From 2004 to 2012 Marian held various positions at the Ministry of Defence of the Slovak Republic including the position of Defence Policy Director (2012) and General Inspector (2010-2011). He started his professional career as a journalist in television TA3 (2001) and the daily SME (2002-2004), where he worked as an editor for foreign news. Marian studied history and political science at the Faculty of Arts, Comenius University in Bratislava, where he also earned his PhD. Degree in Theory of Politics. He also graduated from several foreign study courses in Germany, Italy and the Great Britain. At present, he also serves as a lecturer at the Department of Political Science, Faculty of Arts, Comenius University in Bratislava. Has long working experience form international and local companies in the segment of Information and Communications Technologies, particularly foocusing on the public sector within the eGOV programme. In cooperation with international teams he participated on transforming international experience and solutions into the public and state institutions by implementing national information systems of financial administration, justice as well as the security solutions for secure communication, digital identity, crisis management, or simulations of critical processes in security research. In IBM he worked as director for public sector, regional leader for implementation of corporate processes and was in charge of sales of services through the chain of local IBM business partners. In Siemens and later in Atos he was engaged as conceptual architect and leader for implementation of foreign solutions for Slovak government and research institutions. He studied information technologies at Technical Slovak University of Bratislava. Maroš Kirňák is an editor in chief of the portal Cybersec.sk. 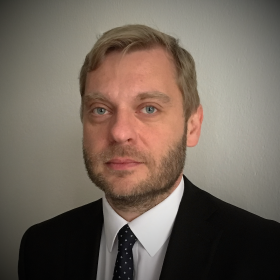 He is also a Director of the programme Cyber Security at the Slovak Security Policy Institute. Maroš graduated from the Faculty of Political Science and International Relations, Matej Bel University in Banská Bystrica in the program of International Relations. In 2015 he attended half-year study stay at Tallinn university of Technology in Estonia. At present, Maroš is a Master degree student at the Faculty of Social and Economic Sciences, Comenius University in Bratislava in the programme European Studies. In the study and free time he is devoted to the issues of information and cyber security.